Light Therapy, which is also less commonly known as heliotherapy, is simply the use of light to treat various health ailments. Originally used as a treatment for skin problems, light therapy is now also a popular beauty and cosmetic treatment. Essentially, you expose yourself to a specific wavelength or wavelengths of light that would result in beneficial effects for a certain period of time. It can be used for treating skin conditions, seasonal affective disorder, and a number of other conditions. 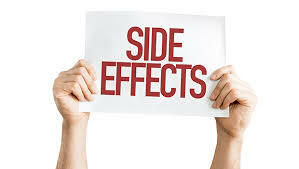 Generally, it is very safe though there’s a slight chance of some side effects to occur. Nevertheless, it’s a very advanced technology that’s widely available for both health and beauty benefits. Light therapy uses light to cure diseases while also minimizing negative side effects that overexposure to light can have on your skin. Phototherapy uses controlled UV light at different wavelengths in order to treat several skin conditions. Other treatments involve colored lights to kill bacteria or other microorganisms that may be causing them as well as kick-starting your bodies natural healing processes. Additionally, modern devices have been recently introduced to help improve beauty imperfections on the skin. Light is also used to simulate daylight conditions in order to treat mood and sleep-related conditions. For some treatments, expertise in optical radiation is necessary since light therapy uses infrared, visible, and UV light to cure ailments and lower its negative impact on the patient. Many of these more advanced treatments are now available for you to use at home. Care must be taken as using the correct light exposure for the correct amount of time is very important. Light therapy has been used for thousands of years in one form or another. The Assyrian, Inca, and early German settlers even believed that the sun was a deity that blessed them with health and prosperity. Buddhists and the Chinese have also made similar remarks of the sun’s natural healing properties. There are numerous historical records that even prove that sunlight was used to treat various diseases in many ancient cultures including Ancient Greece, Ancient Rome, and Ancient Egypt. Additionally, Indians have been noted as using sunlight combined with various herbs to treat Vitiligo as early as 1500 BCE. Fast forward to the 19th century, manipulating light and using it as a way to cure several ailments was made possible and more effective than traditional methods. In 1893, Niels Ryberg Finsen, otherwise known as the father of modern phototherapy, was able to develop first light source able to produce artificial sunlight. The sunlight produced by this device (technically synthesized light) is fully controllable in terms of intensity and emitted light spectrum. He was also able to use red light to treat people who suffered from smallpox. Finsen received the Nobel Prize in Physiology or Medicine back in 1903, and modern light therapy has greatly improved since then — following his work and studies. Today, there are different modern light therapy devices, which can also be called light boxes. Lightboxes can emit up to 10,000 lux of light or generate a lower intensity of certain wavelengths of light (blue to green). Also, Photodynamic Therapy is also available and it utilizes non-toxic, light-sensitive compounds that target diseased cells when exposed to a certain wavelength of light. What can be treated with light therapy? Though this therapy was originally used for treating several skin conditions like psoriasis, a lot of other benefits were recently discovered depending on the wavelength of light are used. Lots of research has been conducted showing that light treatment is very effective in treating a lot of medical ailments and also cosmetic or beauty imperfections. Light therapy at low laser levels can help treat chronic wounds by making them heal faster. Additionally, high-powered lasers are used to close acute wounds as an alternative to the traditional stitching method. White-light therapy can be used to treat neonatal jaundice in newborn infants through isomerization of bilirubin. Light therapy can be used to reduce or eliminate physical pain. This is very useful to people suffering from back pain, carpal tunnel syndrome, arthritis, muscle strains, sprains, and other physical pains. Light therapy has been proven to be an effective treatment for hair loss and patterned baldness for both men and women. 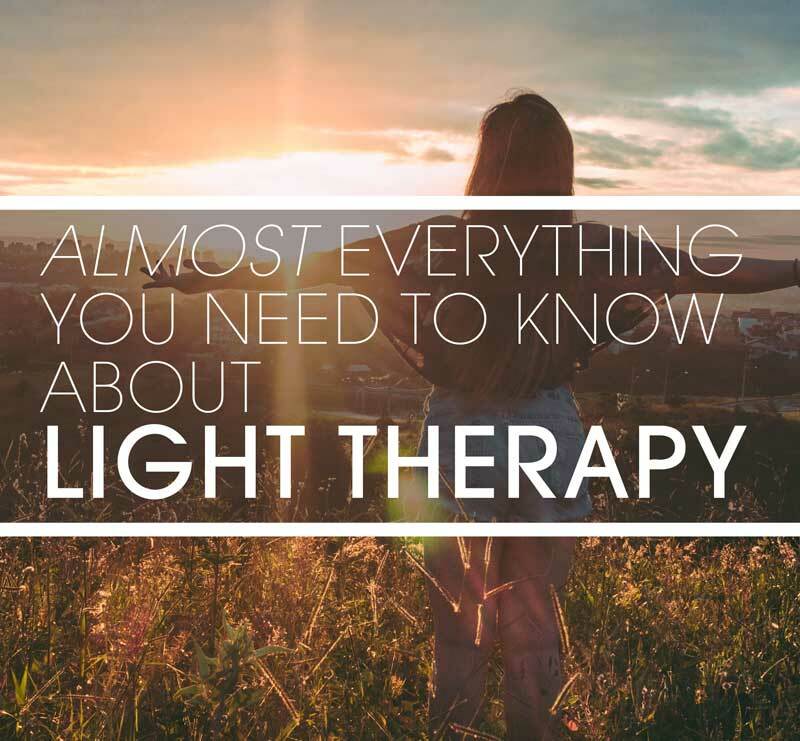 Light therapy is also being used to correct hyperpigmentation, eliminate sun spots, and reduce freckling by targeting melanin-producing cells on the skin. Visible light may have a wavelength range of anywhere between 400 – 700 nanometers (nm) and also a specific color such as violet, red, blue, green, yellow, and orange. This type of light therapy imitates natural sunlight, producing UV rays just like natural sunlight. Full spectrum has a purple or bluish color and is used to treat seasonal affective disorder (SAD). For safety, most light boxes have a diffuser screen to block UV rays. Unlike full spectrum, broad spectrum can almost mimic natural sunlight (not as close as full spectrum) minus the harmful UV rays. This type of light therapy emits a pure white light and is also used to treat SAD. Mainly used for winter depression or SAD treatment, bright light may be effective but may also result in some side effects such as headaches, eyestrain, nausea, insomnia, and hyperactivity. Red light is proven to stimulate hair growth and is an FDA-approved treatment for people suffering from androgenetic alopecia (patterned baldness). Additionally, red light can improve skin quality and treat wrinkles, rosacea, scarring, and eczema. We have a full page dedicated to Red light therapy which you can find here. Blue light is an FDA-approved treatment that helps eliminate mild to moderate acne. A better option than topical treatments too since it doesn’t dry out skin but FDA has already cleared some at-home blue light devices. Green light is well known for its anti-ageing benefits. It has also been proven to correct hyperpigmentation, eliminate sun spots, and reduce freckling by targeting melanin-producing cells on the skin. Yellow light has similar benefits to both green and red light therapy. Basically, it’s best for rejuvenating skin, reducing redness, decreasing visible blood vessels, treating rosacea, and eliminating UV radiation damage. When used improperly, light therapy can have several risks and side effects mostly due to overexposure of light to the skin. This is why you should consult a professional with expertise before beginning any at home treatment. It should be noted that each type of different light therapy has different risk and side effects and for more details about which risk applies to which type of light therapy you should browse our site. Overall, light therapy is a very effective way to treat several conditions mentioned above. It’s very popular today for both medical and cosmetic use but there are also a lot of light therapy devices that are being sold online. Whether they’re FDA approved or not, it may be a good idea to consult with an expert first before attempting to use any light therapy devices. Since you may risk a lot of side effects if you use a light therapy device wrongly. We hope you learned a lot from this article. Light therapy is a great option to consider. Consult a professional today and benefit from the miraculous treatments that light therapy can offer!